Communicating with families can be a challenge for anyone who works with children. It doesn’t matter if you work in a school, community center, post school program, or child center communication is KEY! Do you remember playing tag in elementary school? Some time that’s how I feel when trying to communicate home to a parent. Not only can language be a barrier but, time of day, method of communication, dialect, slang, and terms that you both may not understand. WOAH! That’s a lot of room for miscommunication in a short list. So how can you and I best communicate with parents and guardians without feeling like were playing communication tag? Here are some suggestion and ideas that I have gathered. Please feel free to comment and let me know what works well in your room or center! -News letters, send them monthly home to let parents know what’s going on in your room. This can be via paper or digitally. -Quietly hand a note to parents at pickup if you work in a setting that allows for this. Simply ask the guardian if they can call or stay to talk for a few min after everyone has gone. The student can wait in the hall and read or play if it is a prek or pre school setting. -Translator for language barriers, be careful when using google translate! Extras Goodies! Because who doesn’t love a treat? Need more ways to reach a family who speaks a language other than your own? Communication Logs and other printable goodies! This page contains not only editable logs for parent communication but you will find easy locker logs and other useful templates. All these can be found in an easy to edit word or PDF format. 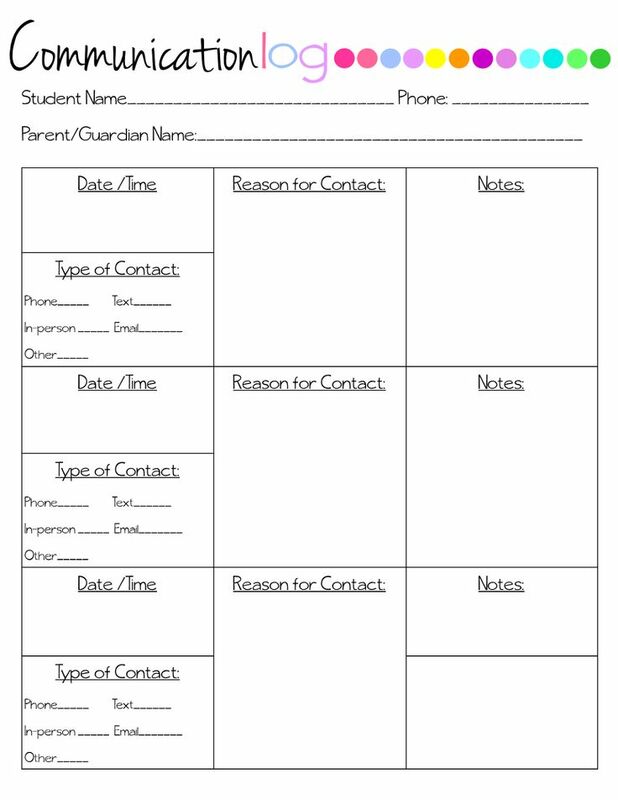 Need a fast permission slip, lunch detention form, or ‘we missed you today’ slip? Communicate with not only you parents but, students as well.